Le Havre Mustache Solo Vintage A sweet, smaller Mustache Club chair with an obvious armstain or honorable wound. Ya know, if they were all perfect, they'd be suspect. 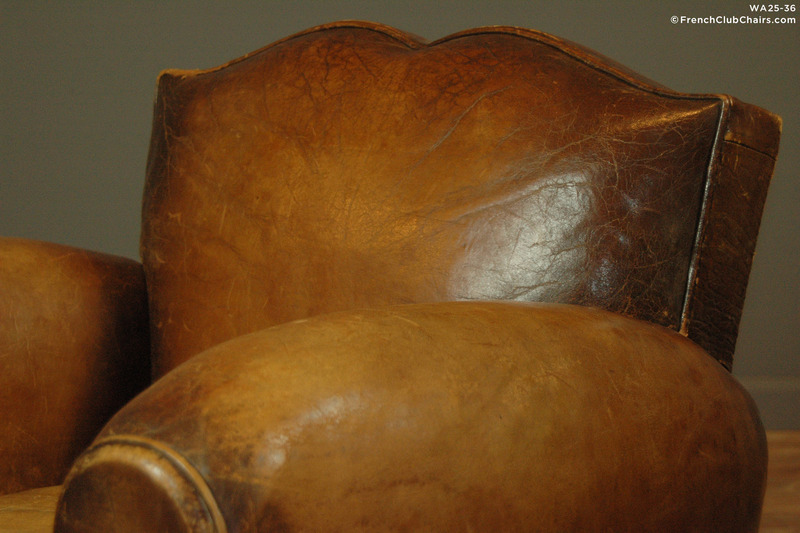 Provenance and patina are a huge part of why we love Vintage French club chairs. Circa 1940s. measurements: depth-34", width-37", height-30", seat depth-22", seat width-17", seat height-17"